Siwertell, part of Cargotec, has secured an order from Beijing-based Shenhua Logistics Group Corporation Ltd for two rail-mounted ST 790-D screw-type unloaders. The unloaders are destined for use by Suizhong Power Generation Co Ltd and will support the company's power plant expansion plans in Qiansuo, Suizhong County, China. The order has been booked into Cargotec's 2016 third quarter order intake and the delivery is scheduled for March 2018. "The customer chose Siwertell's totally-enclosed screw-type technology because it needed to provide a clean, efficient operation with minimal environmental impact," said Ola Jeppsson, Siwertell Sales Manager. The Suizhong power plant currently receives most of its coal by rail, sourced from Shenhua's own coal mines. The expansion plans include building a new jetty to increase coal deliveries arriving by sea. 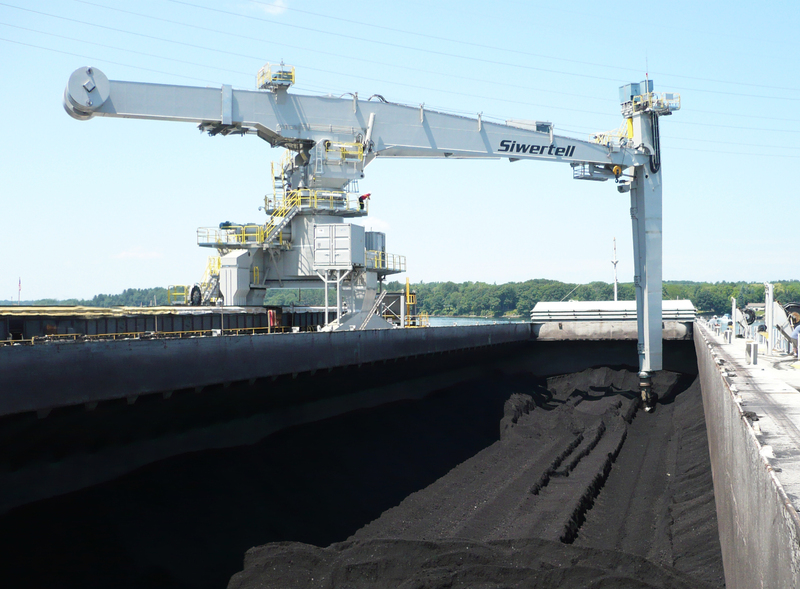 The unloaders will discharge coal from vessels of up to 50,000 dwt at a rated capacity of 1,500t/h for each unloader. "Having identified the technology it wanted, Suizhong turned to Siwertell because we are the leading supplier of this type of unloader. We have an excellent reputation throughout the dry-bulk handling industry for reliability, high efficiency, impressive through-ship capacity and very clean, safe operations. "The light weight of our machines minimises the loads on the jetty; in consequence our customer will benefit from significant savings in jetty construction costs," added Mr Jeppsson. The unloaders will be fully assembled at Siwertell's sub-contractor's premises in Nantong, China. The units will then be shipped by specialist vessel to the Suizhong power plant, where they will be unloaded onto rail tracks installed on the new jetty. The unloaders will be handed over to their owners following performance tests and final commissioning.